Richard Leroy is running a small winery in the Anjou region, his work is almost entirely focused on the vineyard management and the soil management and the result are dry chenins that are very pure and that reflect the shists and rhyolits underneath. After years of trying make his best with the intricacies of the appellation system he just quit and he now bottles his wines as table wine (Vin de France) like more and more demanding vintners in Anjou. Like many of his peers who set up a small winery with an artisan approach, Richard Leroy wasn't raised in the wine trade when he came here in 1996, he comes from the Vosges region of which he still has a slight accent. His wife is also from there and it happens that she was the one who back in the 1980s' made him discover the world of fine wines. his future wife at the time enrolled in the wine school of Macon/Davayé in Burgundy while he was still studying law and economy in Nancy university. He was at the time more involved by football actually, one of the reasons he went to the university, and when he visited her during her winery trainings in Burgundy, he bagan to appreciate this world of vignerons, the relation with the land and so on. Another step was a long training she (as well as he) had in the Etablissements Nicolas around 1982-83 for a planned summer job managing a branch of the wine-shop chain. The chain had at the time a huge cellar and devoted resources and time to train properly its future managers through tastings of fine wines. These older and rare wines (he remembers wines like Latour 1961 or Carbonnieux 1928) were also sold on the demand to the customers at Christmas time. This was during these Nicolas tastings that Richard learnt a lot and educated his taste for fine wine, he read many books all the while because he didn't know anything about these wines before landing there and he had a virgin mind in that regard, discovering wines like Cheval Blanc 1978 or Chateau Branaire without any preconceptions, after which he would read avidly from writers like Alexis Lichine, putting knowledge in place near the beautiful olfactory impressions he had got while tasting the wines. On the Montbenault parcel Following this training they managed a wine shop for a couple of months, then Richard went to Germany to do his military service, his wife going along as the wine-shop chain Nicolas was opening a shop in Köln at that time. She stayed two years on the job but after that they decided to come back to Paris because although the shop in Bensberg was doing well selling lots of fine wines, they felt far from wine matters there, and being without roots in the wine regions, Paris was the place to go. Richard underlines that at the time in the mid 1980s' Paris was the only place where wine really existed, and sit down, mostly thanks to what he calls "les anglais" (the English), people like Steven Spurier with his Académie du Vin or Mark Williamson and his Willi's wine bar. Outside this small group of expats, the wine landscape was drab, even the Caves Legrand (a very old and respectable wine shop) was offering only minimum wage to an experienced sommelier like his wife and they didn't even need someone with knowledge, only a compliant shop clerk. Realizing that there was no future for their wine passion as a job, they both decided to get a position in a bank, the main purpose being to get good vacation time and be able to explore the French provinces and sharpening their knowledge and their experience with wine. Thanks to Isabelle Dutartre who was then living in Burgundy studying for her DNO enologydegree (and who now makes wine in Oregon), they had contacts with prime wineries, beginning with Véronique Drouhin of Domaine Drouhin who helped them go in cellars taste the great wines in the domaines' cellars of the region. Through her he met Dominique Lafon, they all were very open people who facilitated their wine research, sending them to fellow winemakers like Pierre Morey, Etienne Grivot and so on, this was not so common in 1985-1987 to find this openness. While discovering all these demanding growers and winemakers and the top quality wines they were making, they saw that there are also many producers who aren't focused on quality, they receive the winery from their parents and elders and they just continue the business as a business, nothing more, and because of inertia they don't change their viticulture practice, that's why outsiders are important, Richard says, because it brings a new blood in the trade with everything started from scratch without taking position revenues for granted. This all, along with the tastins at Steven Spurrier's Académie du Vin made Richard and Sophie very knowledgeable about wines. Montbenault : chenin on stony soil How did Richard and Sophie land in this corner of Anjou ? This was a set of circumstances, he was visiting the Salon de L'Agriculture with his young son in Paris to show him all the farm animals and on the wineries section he stopped at a stand of Coteaux du Layon managed by Jean-Louis Robin, he was reluctant to taste because except Huet everything he had tasted from this area was pretty bad, but he still tasted one and was amazed, this wine was much better than the Iquem he had tasted, so he bought a few bottled (thinking it was pretty sure the purchased bottles wouldn't be as good as the sample) and the wine was indeed exceptional and he shared it with friends. He decided to visit the area and when he saw the slopes, the hills and the terroirs, he immediately saw that the conditions were optimal, but a closer look at the vineyards hinted that most growers were focused on high yields, the soils were devasted by herbicides, it was a nighmare and the potential was wrecked by this wrong approach. His first wines were grains nobles (noble rot) chenin wines because he felt that the region had a huge unexploited potential for these wines, and 1996, 1997 were great vintages for these, they brought sorted grapes making 30 or 31 % potential sugar, he was feeling in heaven. Then came 1998, a difficult year for noble rot, rain came, just a bit of grapes picked, a disaster. That year he had looked around at the vineyards nearby and when he saw the vineyard of Mark Angeli he undestood suddenly that with beautiful grapes (picked much earlier than for noble rot) there was good chance to make great dry whites also. Mark Angeli was the precursor for dry chenin here and he had just begun making dry whites (cuvée Christine 1993, 1995), his wines standing out already, same for his 98 which was samely a success. In 1999 he still made noble rot because he and Sophie were still living in Paris (12 sorting operations, 5 casks for 2 hectares or yields of 5 ho/ha...). His 1999 was a great noble rot but it was not understood by the wine writers who only spotted the fact that the residual sugar was lower than usual, Richard realized that journalists didn't know how to taste and appreciate this sort of wines, wether major French tasters or the English speaking ones, none of them really differentiating a botrytis from a raisining wine, and the low reputation of Anjou as a whole didn't help. But in 2000, now based in Anjou he decided to vinify in dry the first rows of his parcel along a wood, because anyway when noble rot approached the birds (starlings) who eat everything : Lost for lost, he picked these rows earlier for a dry chenin, trying to follow the steps of Mark Angeli. The surprise was that this dry chenin 2000 ended up tasting very well [his long training at tastings gave him the ability to judge] and things began to move in the area, a few other vignerons beginning to make dry whites. His yield even for dry chenin were relatively low, about 25 hectoliters/hectare (he never reached 30 ho/ha here), and he replicated the dry white in the following years. To make things clear one has to be reminded that in the 1980s' there was no dry chenin in the region, winegrowers would systematically wait for the late harvest, say beginning mid october, and if rain was menacing, then suddenly growers would pick in a hurry and sort of make dry chenin by force, but by mid-october the right maturation and balance was long passed for a good dry, so all the dry chenins that made it to the market in those years were actually failed noble rot that tried to pass as a regular dry white, that's why these wines tasted awful and people who didn't know these strategic information thought that the region was completely unfit for dry whites. These wooded slopes (coteaux du Layon) used to be planted with vines While we were driving on a side road to his other parcel Clos des Rouliers, Richard showed me an interesting thing that is also one of the reasons the Coteaux du Layon lost its quality as an appellation. The words Coteaux du Layon mean slopes along the Layon (river), and you can see precisely on this picture where the vineyards were planted on this steep slope going down to the Layon (we're speaking here of the slope covered with woods in the far, with only a bare parcel on the right which seems to be a new planting), this slope was in the past all planted like in the Côte Rotie. You can see that except for this new vineyard on the right, these slopes have been all reclaimed by woods, and it's like that all along the Layon from what I saw, now the unsuspecting visitor couldn't guess that these woods replaced vines : like in many appellations, growers deserted the arduous slopes in favor of a more convenient plateau or flatland (especially in the 60s' and 70s'), keeping nonetheless using the misleading appellation of Coteaux du Layon. Add to that the herbicides and the fertilizers and you have a recipe for disaster. Speaking of the distribution of his wines he didn't want to spend energy on the commercial side, he thought (and he happened to be right) that if you keep doing things right, the market will discover you and there will be demand for quality. Marcel Guigal to whom he spoke at that time told him don't be afraid, and I bet that your first buyers will be Japanese. He didn't move and as Guigal predicted one day a small Japanese woman showed up and began to import his wine to Japan, this was Mrs Yasuko Goda (this was before Racines). This was in 2000, she was already buying Mark Angeli's wines and as she was looking for other same-minded vigneron Mark sent her to him. So, commercially things moved swiftly and buyers went to him by word of mouth. When we went from the Montbenault to the Roliers we passed near a new parcel farmed by Kenji and Mai for the 2nd year and Kenji was spraying his parcel (it had been humid with rains lately), this is a nice terroir of chenin, a welcome addition in their vineyard list. I shot a picture from afar and as you can see (on the left) a rabbit crossed the rows in front of the tractor, like if Mother Nature was saying loud how this parcel was a happy place... Kenji stopped near us, took off his mask and we chatted a few minutes. Kenji told me months ago that Richard Leroy had been a great help when he and Mai setlled in the region, giving lots of advice and tips. Lowering the vines From roughly 2005 Richard Leroy made only dry chenin, and in order to make these wines he had also to change the training/pruning of the vines, the vines in general were too high and he wanted to homgenize the whole vineyard by lowering the vines, even the old ones which if not easy is yet possible. On a vine like this one above (which is 50 years old) Richard leroy says that either he could saw the vine at the bottom and graft anew or wait that a bud comes out at the right height, like it happened here, and leave it grow and then cut the older wood above, which in this case he'll sometime later. Why were these vines otherwise trained higher if this was not desirable for the end wine ? the reason is convenience for the vineyard workers who prefer to work standing than bending. When the vine is lower, first it is closer to the stones which is better for the fruit and the foliage, also it is easier to change the direction of a shoot or branch when the vine is lower, choices being more limited when the vine is already high. When he'll cut the vine above the new bud turning into a branch, he'll be able to give a new shape to the vine, closer to the ground. and this type of operation has to be repeated on a case per case basis, adapting the lowering to each vine architecture. Richard Leroy makes also a big work to replace the missing vines, and you see young vines here and there as a result (which strugle a lot because the soil is so thick with stones), the grapes of which are vinified separately until they come to age. His vineyard is now fully replanted, and every year every missing vine is replanted. In the region there's a tradition not to replant and when too many vines are missing the vigneron uproots the whole parcel, and Richard Leroy thinks it is a wrong approach. He had some esca occurences some 15 years ago but not right now, it seems older vines are less affected but he has some on the Clos des Rouliers. underlined how different and better the wines werte when the soil was plowed correctly and he himself had noticed the difference when he tasted all the Gevrey-Chambertin : 60 % of uninteresting wine, 30 % of wines that were so-so (reasonably good but with lots of enological interventions) and 10 % of terrific wines made by always the same group people (Denis Mortet, Claude and Bernard Dugat etc). At that time he had gone to the vineyards to try understand and it was so clear : the soils were worked, the yields were half the one of the neighbors and all sort of important things like that made in the vineyard. In 1996 he didn't name these vineyards as we do today, "organic", he called them like his Burgundy mentors called them then : vignes travaillées) (worked__or rather plowed__ vineyards). These people were then a minority, about 10 in the Côte de Beaune and 20 on the Côte de Nuits. Here in Rablay Joël Ménard was the only one to plow (work) his soils and so back then with himself only two growers were doing the right thing, today six growers plow their soils in this village, it changed for the better (small domaines actually, so the majority of the surface remains conventional). Then the movement started in the region with Jo Pithon (1998), Patrick Baudouin (2000), otherwise there no notion of organic farming like we have today. The Clos des Rouliers is a parcel lying close to the Layon river, there's slight slope even if it doesn't jump at your face, and the lower part close to the Layon is more exposed to frost. Here you have both shale sandstone (shist), gravel of the type you find in the bottom of river beds and alluvial sediments, these terroirs surfacing alternatively in different parts of the parcel due to past geological upheaval. Right beneath this parcel on the other side of the grass road (pic on right) there's a fallow plot with white flowers which Richard intends to take over one day, then next to it on the right in the foreground there's a parcel farmed by Philippe Delmée and further in the back this is another parcel farmed by Toby Bainbridge, seems like artisan growers are swamping the area... Richard told me later that they look for parcels with old vines but with the grubbing-up subsidies handed by the agriculture administration, growers make more money getting the subsidies to uproot, then the other subsidies to replant, cumulating lots of money while retaining their parcel, and in the process the old vines that would have made a terrific job for people like Richard are gone forever, he says this amounts to rewarding bad work. Tasting a few wines Before heading for the cellar, we tasted a few bottles in Richard's house. __ Dry Chenin 2006. Neat, full-mouth and enjoyable dry chenin, with a gliding feel on the palate. Quince aromas. No residual sugar. Later I'll notice the minerality with another sip, and Richard says that Rouliers is always more refined and mineral than Montbenault, these are different wines. You see less rock surfacing on Les Rouliers but underneath there's a chaotic rock table on which the plow sometimes stumbles. The vines struggled so much here that they waited 4, or even 5 to 6 years before he really got grapes to pick (against 2 years usually). Another sip : this wine is powerful, it radiates beautifully on the palate. He vinifies this 2006 vintage here in this house (he found since a separate building 50 meters away in the same street) and because of lack of room he had to ship the wine faster, so it had a filtration then, plus some SO2 (like 2 grams) at the end. With his larger facility, he takes his time and bottles the wine after 18 months without filtration, after it spent another winter untouched. 2006 was a vintage with lots of sorting in the vineyard but he managed to pick very nice grapes, he considers it's one of his best vintages. Elsewhere like in Touraine the picking season was very bad in comparison. This wine was bottled in september 2007 (now his dry whites have a longer élevage) and it sold very quickly. All the wines go through their malolactic, Richard says that considering he's done all the work in the vineyard, he leaves the wine follow its life naturally without interfering, including on the malolactic. One thing inmportant he says is that he decided not to make analysis of the wine and instead taste the wines through winter, regularly. He says the data collecting from the lab brings unnecessary anxiety which disupts the accompanying work of the winemaker. For example if the analysis says at one point that the volatile went up quickly you risk being obsessed with it, making you think it'll reach soon 1 gr or 1,5 gr or more and in this case you panic and decide to add a gram of sulfur. In fact, if the volatile really goes up the gram of SO2 will not be of any use and from his experience the wine doesn't veer and comes back in tracks. With the malolactic completed he looses a bit aromaticly but gains a lot in the mouthfeel and that is so important for him. His dry chenins are now made without any SO2 addition, and Brault, the service company that makes the bottling is doing a very skilled job (it works with the best artisan vintners of the region), asking for an analysis to check that there's no residual sugar and then lets the winemaker decide if he wants a filtration or not. This is the only data Richard collects, when the wine is finished. If, say, the analysis points to 5 gr of residual sugar, he is told to decide and if he bottles as is, it's his responsability. The old press in the cask room An other issue Richard Leroy addressed was the sulfites one, as he soon realized that he had a problem with wines after they had received an SO2 addition, he had tasted the previous day (before the addition) a terrific wine and the next day it was all gone, he felt that he had lost all this great result obtained through patient work in the vineyard, and he was always aware of the negative impact of sulfites while tasting other wines, how good they could be otherwise. This was around 2002 that he decided to do something in that direction, he had never put SO2 on the incoming grapes (no need for noble grapes), only later especially at the mutage stage when the sweet wine is blocked with SO2. Since then tight filtrations have eased the SO2 issue but already then on his dry whites he was pleased to be able to make the wines with minimum SO2 and then totally without. His buyers usually order hiw wines without needing to taste beforehand, they've been buying the previous vintages and know how he works. He still takes part to the Angers tasting Les Greniers Saint-Jean but he only has cask samples then. He takes part to this tasting mostly to meet other artisan winemakers and taste their wines because the rest of the year he finds it hard to find the time to move around and visit them. There's only something he does once a year with Eric Pfifferling (Domaine de l'Anglore) to break the routine : they and their wives take their backpacks and travel to a nice region to walk the backcountry dirt roads for two days, last time they were in the Beaujolais where they called Jean Foillard who rushed to pick them where they were walking just to have a nice lunch at his winery and have good time together. Richard helps the young artisan vignerons who come to Anjou to set up a winery (vineyards are still very cheap in the area) and while doing so he puts the emphasis on the fact that you can make it financially feasible even with a small surface, it's important to know how to do it because you have to be able to make a living from your work, he himself lives correctly from his 2,7 hectares even if not on a luxury lifestyle and it is important to explain the accounting rules to reach that goal, the important thing being to to be to big at the beginning and add parcels progressively without making concessions on the vineyard work and being prisonner of bank mortgages which push you little by little to make commercial wines (bigger volumes and wines that are sold much earlier, all this encouraging the use of enolgical tools and additives). There's something he can afford not spend money on, with this type of small-size artisan winery, he says, this is the commercial part : no trips to Paris to look for clients or other commercial and marketing expenses, the buyers come to the winery and these are interesting people he's happy to meet and have a tasting with. On the picture above you can see the old press with its stone bed, Richard Leroy took over this place which had still these remains embedded in the ground. There was no cement floor then and the ground was lower, so there was enough room to place a bucket beneath the press bed, the wine being then poured into barrels in this same room. On the other side of the room there was a fireplace to heat water (in order to make barrels tight again) and also forge horseshoes. Chenin from the barrel Speaking of the affordability and availability of vineyards in the region, Richard Leroy remembers that Joël Ménard told him that back in 1994, 95 and 96, there were many parcels at easy reach, you just had to wait for a desired parcel to come on the market, that's why it was so important to focus in the terroir and wait that the targeted parcel become available. __ Les Noëls de Montbenault 2006. The vintage where his yields were only 3 ho/ha because of severe frost : 3 casks only for the 2 hectares. He had no mortgage, no bank obligations and he could make it; he says that he works this way from the start, without owing anything to a bank, when he needs something he pays right away. Golden color . Very generous wine, richness. Serving temperature a bit high but still tastes well, good sign. As we're eating while tasting the wine, Richard tells me a digression story about a man he met, who was a famous restaurateur in Switzerland, this man sort of retired and discovered by himself the world of bread-making (like Pierre Overnoy in Jura, and Cory Cartwright), and it was an eye-opening experience as he discovered in the way, after years of ignorance while he was running a restaurant : he now travels through Europe to study breadmaking and after having thought like most of us that bread needs yeast or leaven to ferment, he found out that like natural wine doesn't really need any fermenting agent, if the wheat is strong and alive enough, it will ferment just by itseld like wine made from well-tended vines. This Swiss buys his wheat in France by the way, possibly in the same farm than Overnoy. In spite of the culture of artisan bakery and the shops pretending to sell such breads, very few people know the art of breadmaking without resorting to yeast and leaven, there are a few Frenchmen who explored the matter, and for a bread made without outside fermenting agent, you need to source your wheat among the rare farmers who can provide a living product, strong enough to contain its own fermenting agents. I am thinking that these people will multiply and save the bread from its self-destruction like natural wine changed the wine experience from boredom to Dionysian. Just look around and see all these people who develop an intolerance to wheat products because of the unatural structure of modern wheat, something must be done. __ Les Rouliers 2013, chenin with an élevage in a Burgundy cask like all the wines in this cellar. The wine is vivid with a light perly feel on the tongue, Richard says that some barrels haven't had the malolactic completed yet. CO2 is good, Richard says, and if there's reduction at some point it's no problem, especially that his casks never went in contact with SO2 including with a sulfur wick. He says that there's nothing worse than the type of reduction encountered in a barrel that has had a sulfur wick in the past, that's why he doesn't buy second-hand casks. Asked about the things he does in the cellar, like stirring of the lees for example, Richard Leroy says that he does nothing at all, he just tops up the barrels from time to time, he learnt that doing nothing except tasting regularly the wine is the best thing. He racks the wine (with the lees or without, it varies) in september and leaves it in vats. Pouring from the barrel Richard Leroy has a lot of things to say about barrels, their input on wines, and also on the cooperages, which he says don't sell the same products to different wineries even when the casks is supposed to have the same wood and parameters. that's a tricky issue but he got proof through tastings of wines made through exactly the same type of barrel coming from the same cooperage injust an hour, the time to drive between two Burgundy wineries, the second one being La Romanée Conti. He says that as he initially was a tasting geek, he developped an almost monomaniac expertise on wines including the wood input in the wines, this was getting to a point where himself thought he was going too far with these tasting experiences. When he was a serial taster he tasted lots of Bordeaux wines where wood is very important, he loved the wood input by the way, he remembers when he tasted his first Branaire wines, he loved the toast. In Bordeaux there's a wine-sample tasting every year where cooperages get compared blind, this is inherent to the local culture. In the Loire in comparison, at least for himself the wood has to be ideally bypassed at the tasting, it must pass unnoticed. That's what he told to the Taransaud director Henri de Pracomtal who asked him once while visiting here, what sort of wood input he'd liked. He said he wanted the wine to show as if no wood had been around. For that purpose, the bousinage (end toasting of the barrel) is very important, it must be adapted to each type of wood, this is some sort of cauterization lasting a certain amount of time. The guys who do this job has the expertise and the intuition of a top restaurant chef, by the way you need 7 to 8 years to be master this crucial art. Wood imprint is not necessarily negative, Richard says, when you make a great medoc you want this aromatic input of the wood, even though now there is a trend for lowering this new wood. Asked about what he thinks about foudres, and the ones by Stockinger for example, he says that these foudres have proven good in the first years, but he tempers this in the future because the company going through an expansion right now due to its success, it may be tempted to satisfy all the surging demand by using wood that has not had the same long drying time than the barrels/foudres produced a few years earlier. The drying stage, he underlines is something that implies that a certain ammount of wood has been put aside for years and when the cooperage expands, it cannot travel back in the past and augment the volume of wood to adapt it to the surging demand, which means that either it puts off the new buyers (unlikely option) or it opts for a shortcut and shortens its drying time. He generally considers that cooperages can't be trusted, he has plenty of personnal stories about the issue and he tells me an interesting one about a Burgundy cooperage, about its barrels to be precise. I'll not recount it in detail here but from this story it is obvious that cooperages don't deliver the same quality to their clients, even when they buy at the same time what is supposed to be the same barrel type, wood and toasting. He got a discreet confirmation of this trend over lunch some time later with a head of the cooperage. 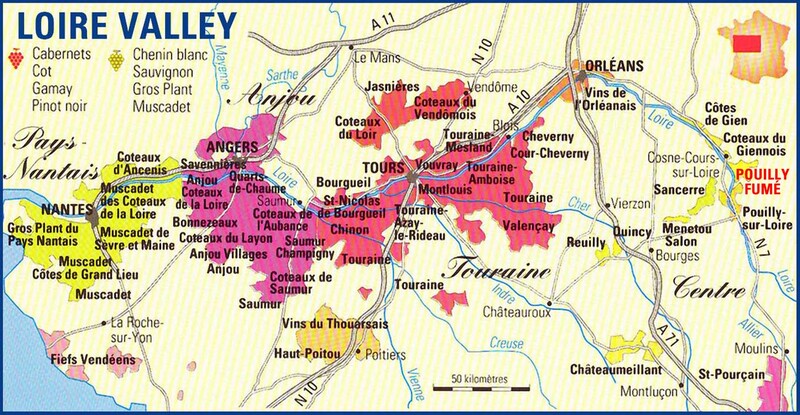 Another interesting thing with some top Burgundy cooperages is that what they deliver to the Loire wineries is (as a whole) of much lesser quality than what is delivered to Burgundy wineries, although all pay the same price. __ Les Noëls de Montbault 2013, from the barrel. Very different wine compared to Les Rouliers, more powerful and magnificient, Les Rouliers being more on the refineness side. Very beautiful wine, I put it back in the cask but would have easily finished my glass. Analyzing the chenin Asked if that could be a good motivation to buy barrels used from top Burgundy wineries, he says yes, but then comes the issue of sulfur, because if the barrels has been exposed to sulfites including through sulfur wick, it always remains in the cask. After years of tasting wines and deciphering them, Richard became very sensitive to the SO2 imprint on the wine, which he considers negative, that's why he preferred to have his own barrels, bought new. He tells me that he saw recently a young researcher from UC Davis who travelled to Europe to investigate on the issue of remaining SO2 in casks that had some sulfur wick in the past [Richard didn't remember her name but I think this is Linda Bisson]. She visited here a year or two ago because she knew Richard was very knowledgeable on the issue and he had her taste a wine from a second-hand cask that had got SO2 in its past life, and the same wine from a cask that never saw SO2 in any form. She aknowledged the sharp differences in the expressions of the two wines. __ Clos des Rouliers 2012, from a bottle. Very nice texture in the mouth, like a thin sand paper, very elegant. The vintage needed more work in the vineyard, Richard says. There was some coulure (blossoming problems) and the good aftermath was lower yields with less compact clusters which resulted in a great vintage, he noticed that with his neighboors too, even though the trade in general is not aware of this vintage being particularly good. The wine is meaty and full bodied. __ Les Noëls de Montbenault 2012, from a bottle. Feels more generous, like riper. Very elegant wine. They reached yields of 17 ho/ha that year, and although a bit annoyed by limited volumes, Richard felt quickly that the vintage would be great on this terroir too. This wine didn't get any SO2 adding, including the barrel (no sulfur wick), that's the rule now for all of his wines. Richard opened this bottle yesterday and he says the wine tastes better now. __ Les Noëls de Montbenault 2011 (bottle). Very nice texture and mouthfeel. This was the first year he didn't put any SO2 at all. This was the first time he didn't add SO2 because of the reduction in the wone, he says : he recounts an anecdote which helped him make the move on that issue, he remembered when he visited long time ago Edmond de la Grange in Chassagne Montrachet Burgundy, this man must have been 85 at the time, and Richard had befriended him and he would let him taste his Montrachet in his cellar. He remembers that they'd taste the wine from the barrels with this particular reduction (yeast autolysis) tastes, and while himself was surprised, the old man would pause and say as in relief : the wine is saved, it's saved ! he knew that when you smell this, it means that the wine protects itself naturally and the only thing to do is let the wine find its harmony with time. When in 2011 Richard's wines began to have this smell in the barrel, he remembered Mr De La Grange's words and decided to stay put and not add any sulfites in spite of the volume (Montbenault making often about 20 to 25 casks). __ Les Rouliers 2010. Bottle without label. Powerful, very aromatic, fruit notes like ripe grapes or pear, the vintage is high in alcohol he says, like 14,7 or 14,8, but I notice that it isn't obvious at the tasting. He says that's because the acidity is particularly high, with a ph around 3,1 after malolactic completed. He says that this vintage (2010) is so big that it's too early (in 2014) to taste these wines. __ Les Noëls de Montbenault 2009 (bottle, no label). This chenin is less expressive on the nose, Richard says that this is also a vintage with poxerful wines but the wine is a bit closed right now, the vintage that tastes the best right now in 2014 being the 2006. I think he's really an extremely-demanding professionnal taster and he's tough on his judgement. There could be a perly feel here too, which adds to the freshness feel. After marming a bit the glass (the bottles are too cold) I feel nice fruit notes. Richard Leroy export his wines to the United States (Peter Weygandt), the United Kingdom (Vine Trail), to Japan (Ken & Yuki Kobayashi - Sapporo), Belgium, Germany (Berlin - Vini Culture), Spain (La Part des anges, Cuvée 3000, Andres Gomez). Italy could come soon, lots of demand from there but he hasn't enough wine right now. Read Liza Gross' article on wines and sulfites. thanks a lot for this piece! great information, can I have your e-mail address! Have you read Etienne Davodeau's "The Initiates" a graphic novel about Mr. Leroy? ISBN 978-1-56363-703-4 That's what sent me searching and turned up your very interesting page. Thanks for the info - and check out that book it's amazing in so many ways, it provides great insights into the business and pleasures of making wine, and making art. Is there a way to contact Mr. Leroy to buy some bottle?